It is rare that someone decides to jump ship on a DAW software and then choose a totally different one learning it from the ground up. It is hard as you have to learn a whole new user interface, new shortcuts, new everything. I did this, jumping from Steinberg Cubase to Pro Tools about two years ago. The reason behind the change of heart was that I started my music production degree and Pro Tools 101 and 110, the official Avid training courses were part of the curriculum of my first two semesters – I fell in love with Pro Tools and decided to leave Cubase behind. Now at it’s 9th edition, Cubase is one of the oldest DAW’s on the market. Developed by Steinberg it is no wonder that it is such a popular DAW – you will find no music production task impossible to achieve with Cubase. 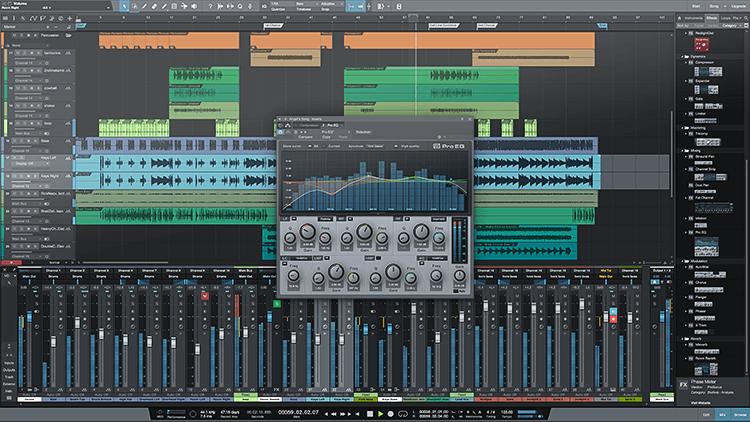 Among the features of Cubase Pro are its 32-bit floating-point audio engine that supports a sampling frequency up to 192 kHz, 5.1 surround, flexible routing and full automatic delay compensation. You get over 90 high quality effects and signal processors that will cover all your basic needs for mixing and mastering. There are 8 virtual instruments that ship with Cubase that you will also find pretty awesome. Overall, I feel that out of all the options on the market Cubase is the most similar to Pro Tools. The Mac-only DAW is definitely among the most popular ones for two very important reasons – the extremely low price tag and the ease of use. You will find Logic easy to learn and work with and within all the features you can expect from a professional DAW. Now, since Apple introduced the new touch bar, Logic also received an update so that you can incorporate the touch bar as a mini piano keyboard, a batch command keyboard or a timeline navigator – pretty neat. Logic comes wth a huge sound library, some awesome virtual instuments and a lot of effects and signal processors so you will never run out of creative / technical tools for your project. Ableton is one of the most interesting DAW option on the market because of how well it is designed for integration in a live setting. 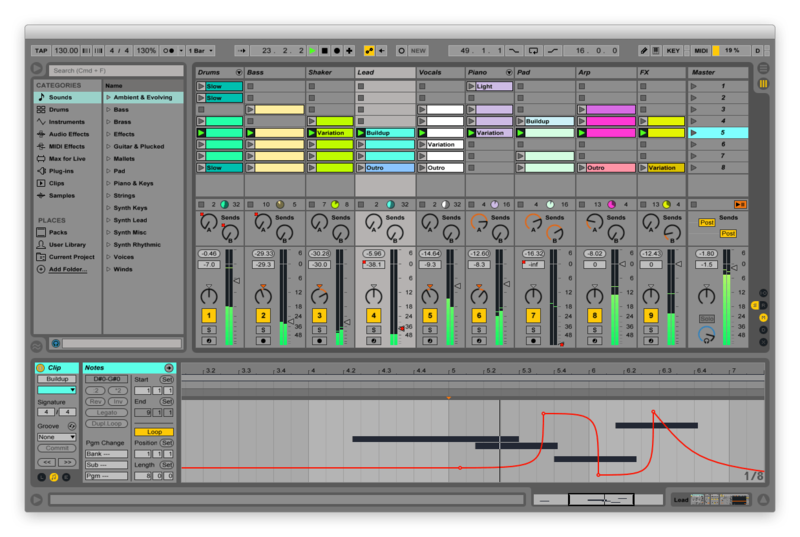 So many artists and DJ’s perform with Ableton Live nowadays – it has basically become the standard for a live performance DAW. Live performance aside Ableton is a very coherent and complete DAW for the studio as well shiping equipped with loads of effects, signal processors and virtual instruments. It’s price tag for the standard version is very competitive and the beauty of Ableton is that it can be as simple or as complicated as you need it – if you just want to improvise songs or DJ mixes than it is super easy to start right away – but you can also use it to create complex arrangements and professional sounding mixes. Reason is a very interesting player in the DAW market as all of its internal effects and instruments are restricted to Reason and you can only use Reason rack effects and instruments inside the DAW – so no VST, AU or AAX inside of Reason. However, the quality of the effects and virtual instruments and samplers in the rack is pretty amazing – in fact a lot of people use Reason like a really complex plug-in in ReWire mode for its excellent effects and virtual instruments. However, you don’t need another DAW to create and finish complex and professional sounding music – Reason is more than up to the task with any tools you might need for creating, processing and editing audio and MIDI. For a few years Presonus’s DAW struggled to gain popularity but as it has developed to be one of the most complete and powerful DAW’s on the market it also became on of the most popular. Studio One ships with everything you need to create, record, edit, mix and master your music to professional standards. It has a nice user interface that feels very cool to use and it is very neatly organized. With its 64 bit processing bit depth Studio One is regarded as one of the most pleasant mixing DAW’s and I can easily see why. The price on Studio One is not as competitive as Ableton or Logic but it does not brake the bank either. At the end of the day it all comes down to what you are used to – the faster you can take your creativity from idea to finished song, the better. And your DAW should not in any way stand in your way. On the contrary, it should be the most creative tool in your arsenal, more intuitive to you than your piano, guitar, bass, etc.. Choosing the right DAW can be hard as it takes a lot of time to learn a DAW so you can make a proper impression of it. However, trying more than one DAW is something I really suggest. Changing over from Cubase to Pro Tools made a huge difference for me – I work more and better with Pro Tools than I ever did with Cubase. Unless you try, you will never know. Reason has had VST support since version 9.5. That was release in 2017! You might want to revise your article. Made the jump from Logic (9 years) to Pro Tools this year.despite the learning curve and the downright kid glove treatment this DAW insists on, it was the right move. I’m doing things I would never have thought of doing in Logic. I still have Logic installed and I’m still impressed by features like the midi editor in that DAW but Pro Tools was the next step for me. I just did the big jump recently. I’ve used Sonar since the early 2000s, but once they closed shop and then were bought by another company I was done. The main reason was that the program had stopped recognizing my NI Keyboard. So far, I have no regrets. I had no problem getting up and going since I had DAW experience, but I did buy Pro Tools 101 by Frank D. Cook to get tips and to be able to dig deeper into the program. Reason has VST support in 2018!!! I feel that Reaper is also a strong contender – its lean audio engine and powerful routing options are quite unique. I know some people who switched from ProTools to Reaper, and also chose Reaper as a multimedial platform for simple audio recording and editing.